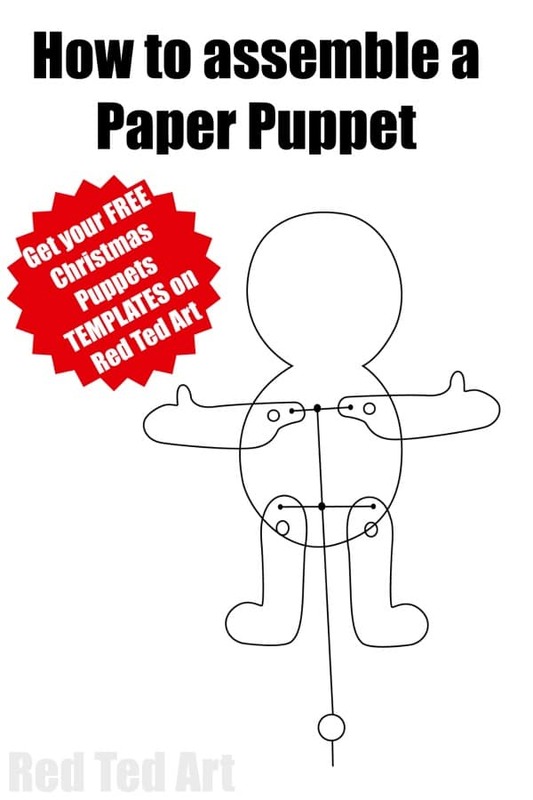 Another year.. another Paper Puppet. 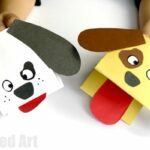 Our army of Paper Puppets is growing!! 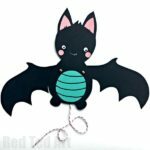 And today we have a super fun Mummy Paper Puppet Printable joins the ranks of our other Halloween Printables: the Paper Bat Puppet and the oh so fabulous Day of the Dead Paper Puppet. 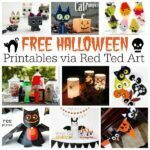 This Mummy was gifted to Red Ted Art readers by Arty Crafty Kids.. she hosts some more great Halloween Puppets – a Zombie and a Frankenstein Puppet. 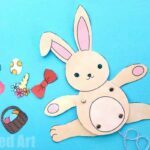 So if you want to make all three, do head over to Arty Crafty Kids and grab your Paper Puppet Downloads! 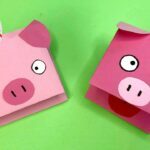 We have many more Free Paper Puppets for you here! 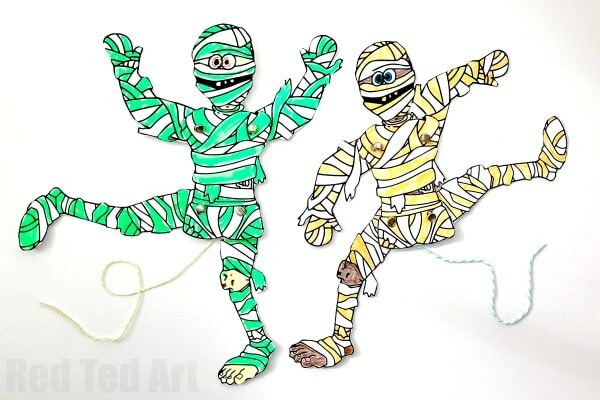 The Assmbely of this Mummy Puppet is the same as for all our other Paper Puppet Crafts!! 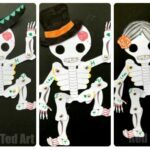 So I am sharing our Day of the Dead video whilst we wait for the Mummy Puppet video to be finished! 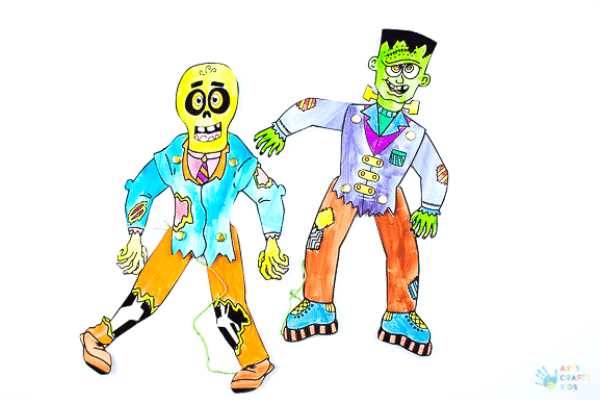 Colour and decorate – we used highlighter pens to create those fabulous neon colours. Cut out your pieces. 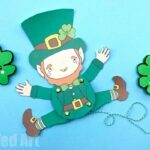 Don’t worry about cutting out all the tiniest bit super neat.. just cut it out as neatly as you can. 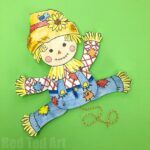 Connect your arms and legs to your body using your split pins – be sure to place these BEHIND the body, to allow for your paper puppet strings to be attached. 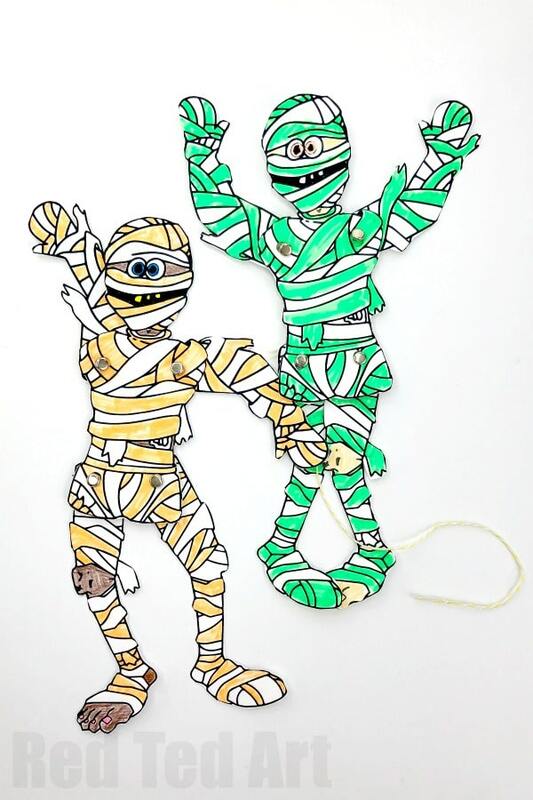 Sew on some Baker’s Twine between the two arms – use the black points to guide you in the image above. Now repeat for the legs. You will need to make a nice neat I shape. Done! 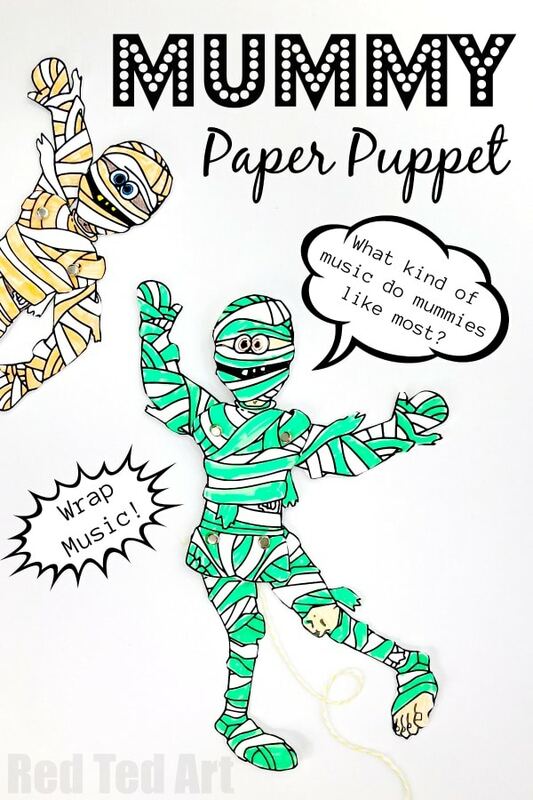 Have fun with your DIY Mummy Puppet Printable. 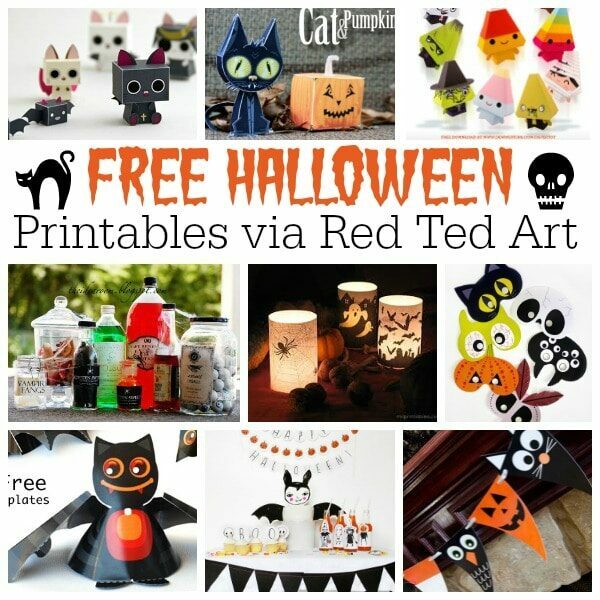 as well as al our Paper Puppets for every season!